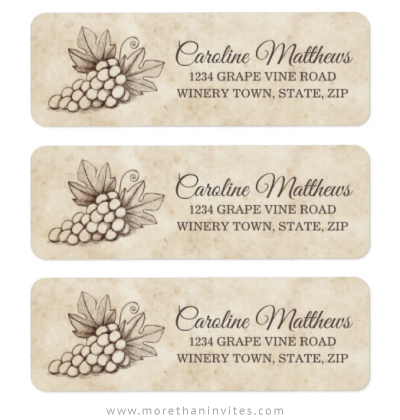 Stylish return address labels featuring a sketch of a bunch of grapes on a vintage parchment background. There are template fields for your name and address in an elegant script and sans-serif font. Available from Zazzle.